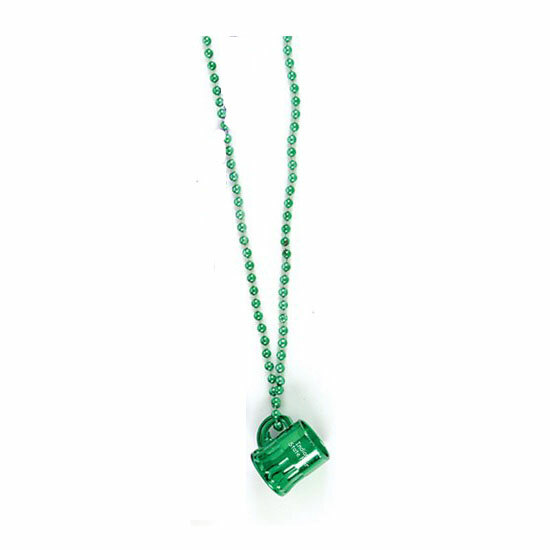 Beer Mug Beads - Bottoms up with this beer mug beaded necklace. Features a beer mug replica embellished by a slick metallic finish. Comes either assorted colors or all green. White imprint is best on all colors. Great for bars, holidays, colleges and beer tasting events. Bulk / 28 lbs / 288 pcs.